With the shortcomings of API Management, there is focus for ISVs on publishing their applications as if it’s an island or a stand alone product. However, the concept of “your app” is now becoming an aggregation of services. More commonly, an ISV’s app may have a set of it’s own custom services, and in many cases it will be a combination of third-party services, as well. For example, business line owners use cloud services like Salesforce, funneling in customer data, Box organizing and storing cloud documents, and email messaging services SendGrid. All of these services need to connect with other third-party services in order for the LOB owners to be successful in their roles. The challenge for ISVs then becomes not only are their developers publishing custom APIs for their application, but also combining APIs from other services based on capabilities typically found in iPaaS such as data mapping, data transformation, event management and workflows. Due to this shift of aggregating multiple services into apps, offering integrations is one of the best ways ISVs can turn their products into platforms - making their application or platform stickier, improving ease of use, and ultimately reducing customer churn. At Cloud Elements, we take a new approach to integration by enabling digital businesses to build an embedded, self-service integration marketplace that can be offered to your customers and users. With our catalog of over 150 Elements, or pre-built integrations, and the option to allow third party ISVs to publish additional integrations, your developers can focus on what they were hired to do -- build a killer platform and new product features instead of building maintaining unique APIs. By partnering with Cloud Elements to build your API integration marketplace, we help you take your roadmap of external integrations and API maintenance off of your developers backlog. We capture and maintain the application provider’s versions used in each Element. When an API alert from an application provider is received, we can quickly review its version change, evaluate the impact of those changes, and plan any upgrades that may be needed. Our customers have experienced an up to 66% reduction in cost of building integrations by leveraging our 100% API-based platform. Quite often when you think about API adoption, you stop at the API management layer. But building it, and expecting developers or partners to come won’t guarantee success. With so many apps and products – each with an API – developer fatigue is real, and organizations can do more to shift the burden of integration away from customers. Integration isn’t just for developers anymore. You also need to enable business users to access and orchestrate your APIs with the other services they depend on and the best way to do that is with an integration marketplace. Your customers, partners, and users expect your application to work with the apps they already use right out of the box. They don’t want to figure it out on their own, or worse engage a third-party integration vendor. By providing an integration marketplace, you can get integrations to market faster by aggregating any existing integrations you offer and leveraging our Element catalog. Allow other ISVs and SIs to publish their own integrations to your marketplace’s integration listings in a self-service manner. 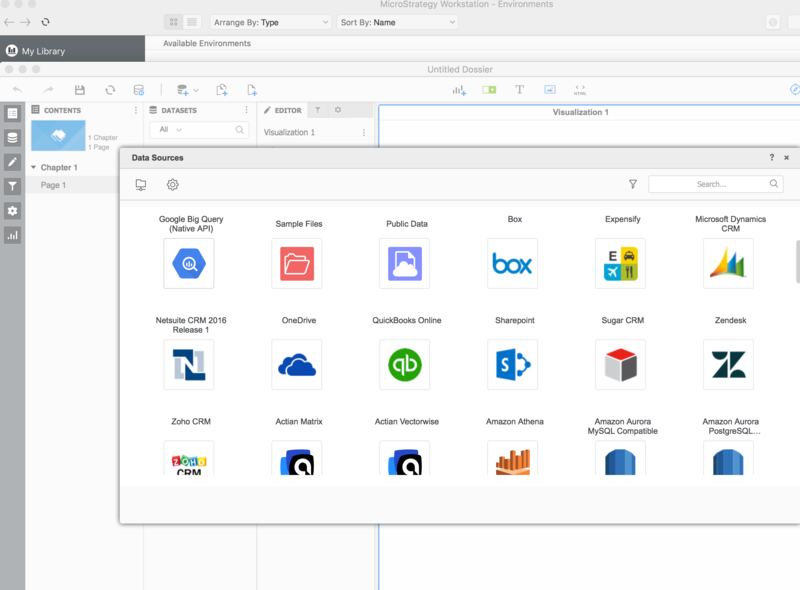 You can incorporate the Cloud Elements developer kit into your marketplace or in your existing SDK to enable these third parties to build (or enhance) integrations. An integration marketplace simplifies authentication by normalizing the handshake between various applications, removing the burden of transitioning between basic, OAuth1 & OAuth2. In working with Cloud Elements, you have three options when it comes to deploying and launching your marketplace. 1) Deploy integrations using our platform’s APIs. With this option you own the end-to-end user experience by embedding our APIs into your UI. You enable your ISV customers and users with low-code, easy-to-use integrations. 2) Utilize Elements Connect, a pre-built integration marketplace that is designed to look like your UI. There is no need for a UX developer and you can get to market faster. 3) Work with our Delivery Team to deploy a customized integration marketplace experience that is uniquely suited for your business requirements. CustomerGauge is Net Promoter Score software for medium to large organizations, and helps them improve customer loyalty automatically and in real-time. 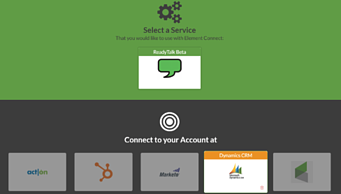 Cloud Elements powers CRM, Finance, and Help Desk integrations. ReadyTalk, a Denver-based company that delivers audio and web conferencing services, partnered with Cloud Elements to expand their marketing automation and CRM integrations. These integrations help enable two important use cases for their customers’ sales and marketing teams. Microstrategy, the leading provider of enterprise analytics software, partners with Cloud Elements to deliver self-service connectivity directly into their platform. These integrations connect new sources of data and drive greater BI and analytics insights. You can find more examples of how our customers are leveraging our APIs to power their integration marketplaces here and to learn more about how you can build an embedded integration marketplace, download the guide below.